Appearance (0-20): Living so close to Cigars International, I see Perdomo cigars all the time as they have a large section at the store. I’ve grown accustomed to seeing them, and unfortunately they generally don’t jump out at me. The Exhibicion has a light colored sun grown wrapper without any flaws. Cigar bands don’t make the cigar great or not, but they do in fact help sell. 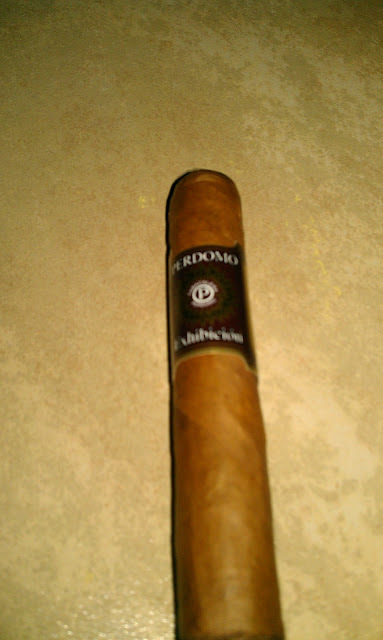 Perdomo is a more classic type of brand, and there is nothing of note to make it stand out. Construction (0-20): No issues here at all. The cap clipped off with zero debris, and the prelight draw was tight. This didn’t affect the smoke at all, as the stick opened up quite easily upon lighting and gave off ample amounts of smoke. 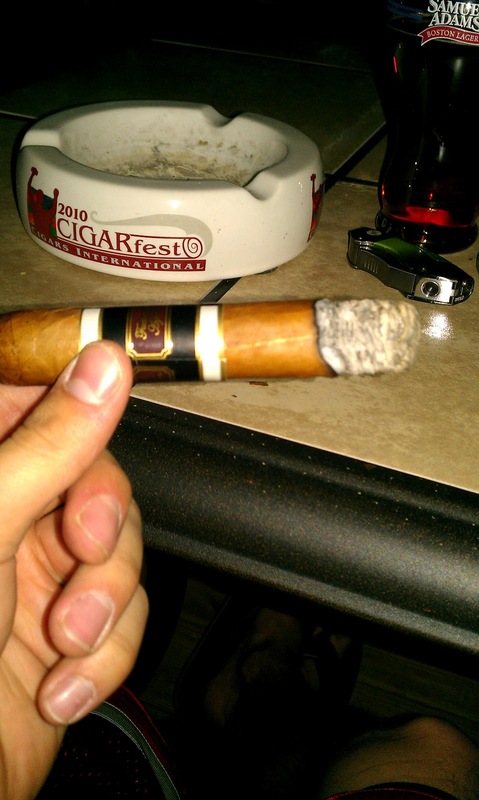 The ash held on for close to 2 inches, and the draw was cool and smooth. Strength (0-20): Listed as medium, I feel like it missed the mark. Mild-medium would probably have been a better gauge for this stick. As you will see in the following section, the flavors are done well without much power. Looking at this lighter stick, I would have guessed mild-med. Flavor (0-20): I smoked this after a long day of work, and I really enjoyed the flavors. They were very creamy and sweet. There were hints of woodiness, but the overpowering flavor was creamy and smooth. While there wasn’t much complexity in terms of flavor transitions and different notes, they did blend together well to give an enjoyable smoking experience. Value (0-20): Posted at $6.50, I really don’t have a problem with its value. There are some, but not many, good cigars for under the $5.00 price point. I think the average price for a solid cigar is in the $5 to $8 range. Additional Notes: Smoked on my deck, paired with Sam Adams Irish Red. Overall (0-100): There were no glaring flaws in the smoke, yet the Exhibicion really didn't have anything that stood out. I hate to sound like I’m knocking this cigar, because I’m not. The problem that I have is this: At $6.50, I could name 10 cigars that have much better flavor in terms of complexity or robustness. Some people do enjoy a lighter flavored cigar, and this would be a very good candidate. Overall another solid Perdomo product, just not my cup of tea.